REGISTRATION FOR THIS EVENT IS NOW CLOSED!!!!! Are you allowing the economy to affect your results? The key to being successful in any economy is learning to have your patient see value and benefit in your services. Far too often, you have presented services as a real solution to client challenges, only to have them respond in terms of affordability in an uncertain economy. Then later discover they have spent twice as much on a trip, a new plasma television, or _______(fill in the blank)…This program offers methodology that allows participants to easily determine a client’s decision-making criteria, then how to present the treatment in their terms. You will learn five steps to consistently create value and a step-by-step presentation system that is effective and user-friendly. Chicago Midwinter, Yankee Dental Congress,Michigan Dental Association, The Tennessee Dental Association, Detroit District Dental Society, AAOMS,The American Institute of Esthetic and Implant Dentistry as well as countless study clubs and events. Sean, the Managing Member of The Crabtree Group, graduated from Middle Tennessee State University with his Bachelor’s Degree in Business Administration in 1991. For nearly two decades, Sean has worked with dentists and dental teams all across the United States, Canada, Barbados, and Nassau the Bahamas. 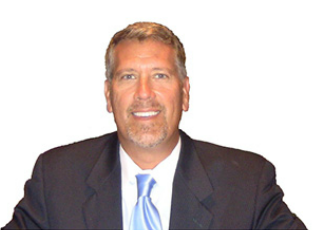 His experience in corporate leadership and sales training brings a fresh design to his workshops and training programs, and a unique approach to the business of dentistry. Sean’s clients are multi-million or million dollar plus practices. They boast an average of 46% increase in production and collection in just the first twelve months of joining his programs. *Refund and Cancellation Policy: No refunds will be made less than 21 days prior to the scheduled event. The Crabtree Group reserves the right to delay or cancel this course with the option of a full refund.